Denise: Hi Susan! Does my Mom have anything to say? Free Psychic Readings by Susan: Hi, Denise–May I have her first name, please? Denise: Well, she never liked her first name. She went by her middle name, Joyce. Is that good enough? Denise: I am so glad she has no regrets. That is wonderful news! I would love to get a pedicure, will happily take her advice on that! Interesting, the book, I’m going to post a pic – I go EVERYWHERE with this one book, The Magic of Thinking Big, and it is a paperback. Even if I only read a couple of pages a day, I am reading it, albeit slowly. 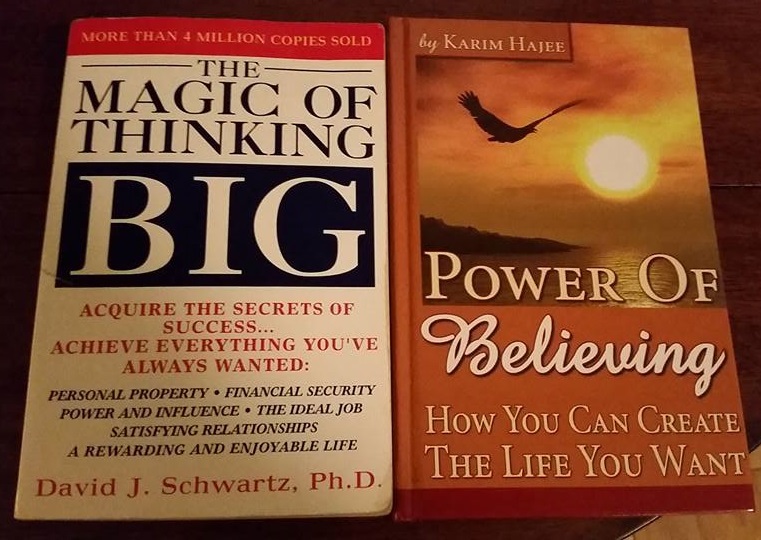 But then you said sunset on the cover, Brown/grey/pink – it isn’t a paperback, but I have been carrying that with me…The Power of Believing: How You Can Create the Life You Want, with intention to read it, but I haven’t been – that will change tonight! I know you are busy tonight. Please, if you can, tell her I love her (she probably knows that) and thank her for me! And thanks to you, Susan! Free Psychic Readings by Susan: WOW! That’s the one I saw! I suppose the paperback thing means to keep reading the other one too. Fantastic! Thanks, Denise! Denise: Powerful stuff, Susan, you are amazing! Thank you!